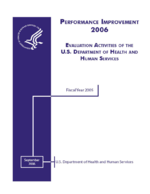 This report presents findings for the Phase II of the Alcohol and Drug Services Study sponsored by SAMHSA. Data reported was abstracted from client treatment records in a stratified sample of 280 alcohol and drug treatment facilities. This report is based on a nationally representative sample of client treatment episodes from August 1997 through April 1999. Treatment experiences could be different depending on where an individual was treated, according to variations by client type of care. The objective of this report was to provide detailed national data on current substance abuse treatment practices, clients in treatment and treatment length of stay for use by providers, policymakers, and researchers. This Phase consisted of administrator interview and client record abstracting. The sample design for ADSS was a multi-stage stratified clustered design, which involved site visits to a sub-sample of facilities. This report was then organized into two main sections: the findings for the ADSS discharged clients and the findings for the in-treatment methadone clients. All findings presented were weighted national estimates.